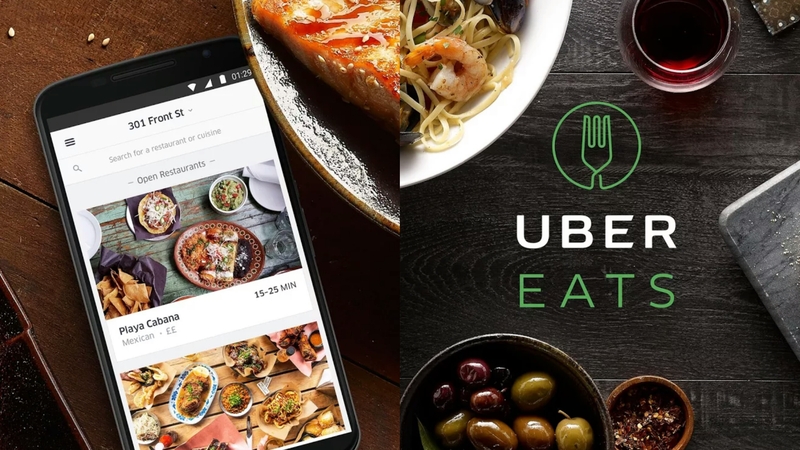 The GF and I have been to Butcher & Singer several times for dinner and have reviewed their Restaurant Week lunch as well. I realized I had never highlighted their dinner on the blog though. So when it was her dad's birthday, I figured it was the perfect excuse to celebrate and cross another Philadelphia institution off the list! 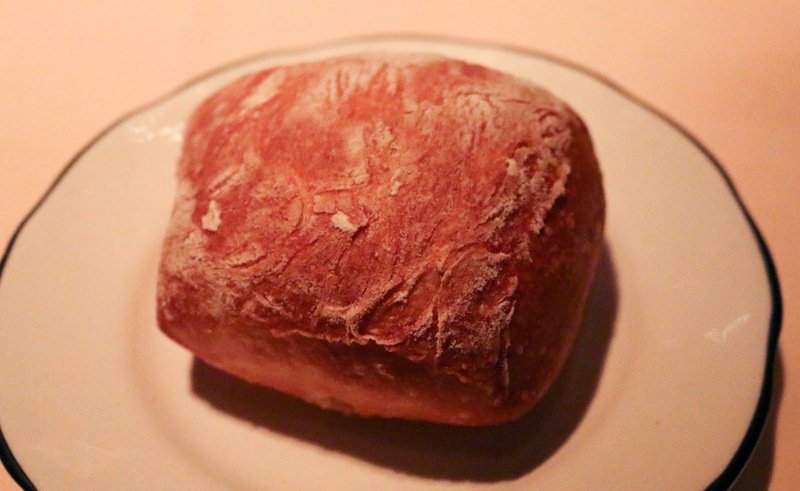 While you take in the cavernous ambiance of Stephen Starr's Mad Men-era room, a warm ciabatta roll is served with room temp (thank the heavens!) pat of butter. The GF was in the mood for French onion soup and this was the perfect iteration. The sweetness of the caramelized onions was well-integrated with the rich broth. The croutons within still had some texture to provide some contrast. The gruyere cheese cocoon? Nothing short of amazing. Pretty sure I scooped up more than my fair share off the GF's plate! Sorry, not sorry! 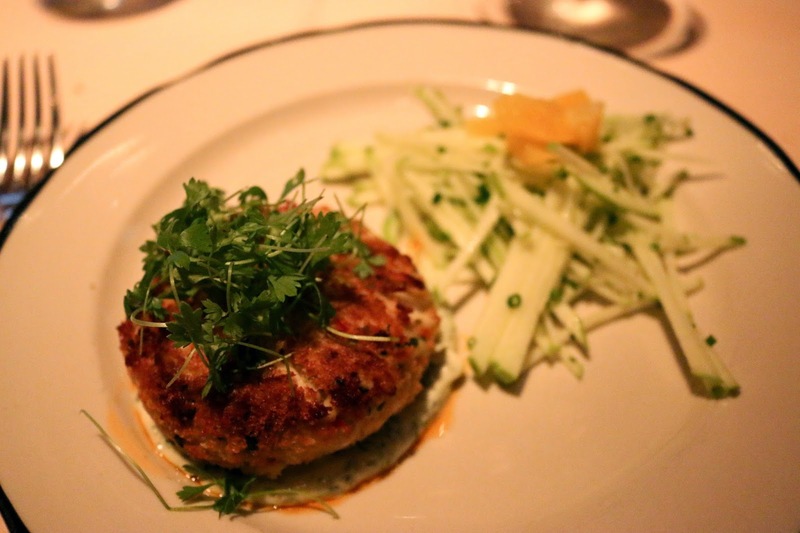 Butcher & Singer's crabcake was nicely moist, sweet, and thankfully without much filler. The crust on the exterior was spot on. An herbaceous aioli was hidden beneath and the dish came with julienned Granny Smith and a few tangerine slices for bright acidity. 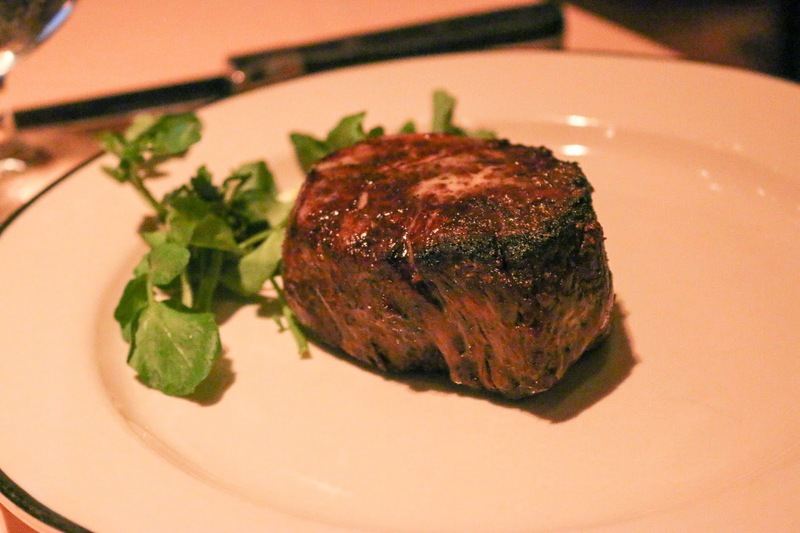 The GF's filet was wet-aged and nicely tender. The steak was well-crusted and seasoned, yielding to the requested medium temp. 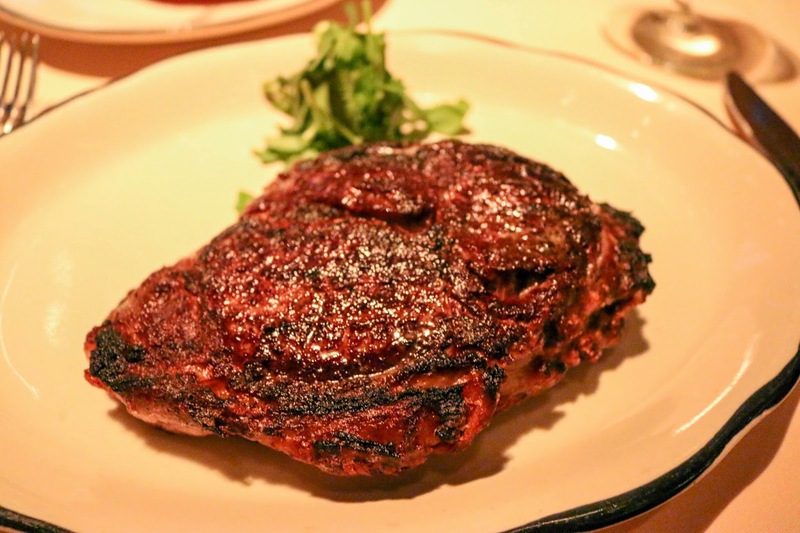 My delmonico ribeye was a nice hunk of fatty, deicious, medium-rare beef. A perfect contrast in pink tender fattiness and well-seasoned crust. 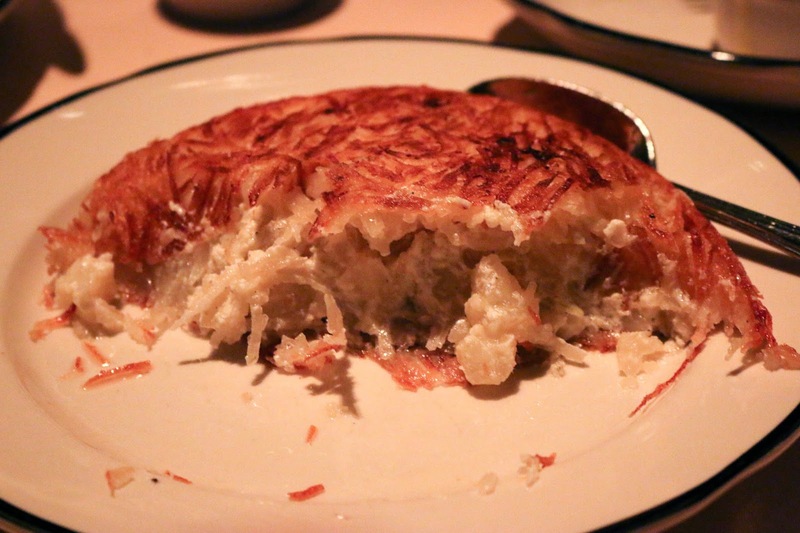 If you're at Butcher & Singer, you can't *not* order the stuffed hashed browns. It's the perfect side for your steaks. 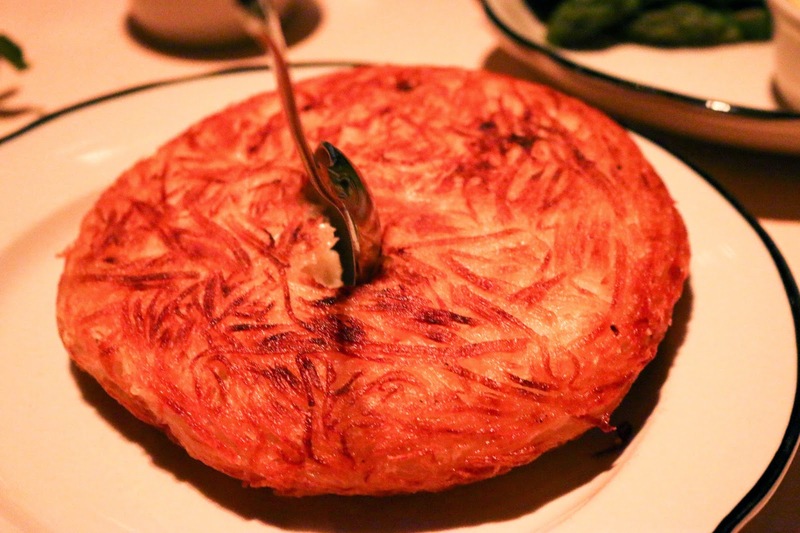 We're talking about a huge plate-sized disc of hashed browns, with a well-crisped exterior opening up to a pillowy melange of potatoes, onions, and sour cream. Looking for some greens with your beef? The blanched asparagus are tender, with some bite, and served with hollandaise. Simple, yet classic. One of the reasons I love coming to Butcher & Singer on steak nights? 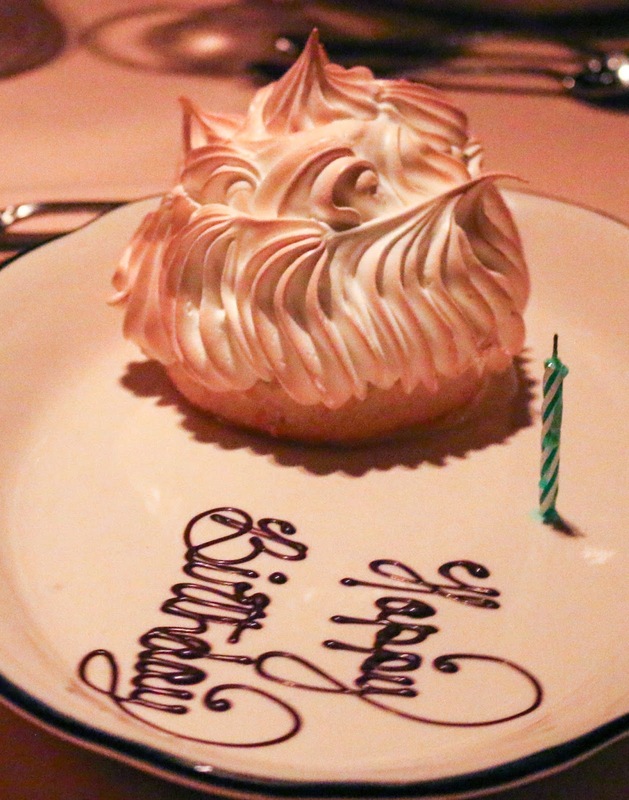 The nostalgic Baked Alaska, not oft-seen on menus these days. The bits of banana, orange, browned meringue, and ice cream allow for a wonderful meal-ending bite. 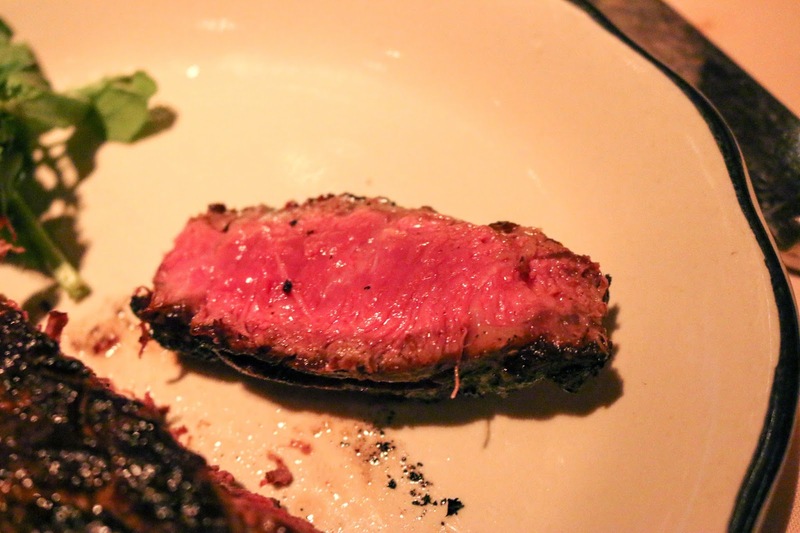 For dinner, expect a dark and intimate setting that's old school. 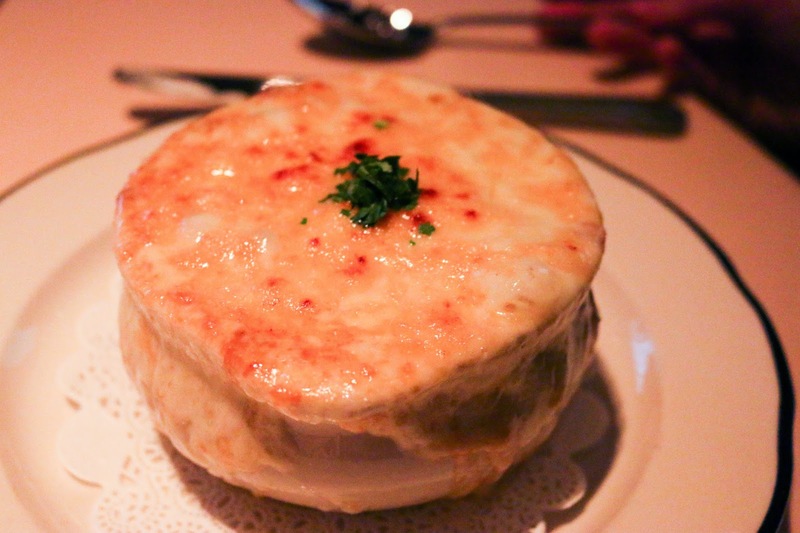 There are no excess frills like the truffle mac n cheese you might find at Barclay Prime, Starr's other Philly steakhouse. But if you're looking for pure beef enjoyment, I think Butcher & Singer is at the tops in terms of juicy steaks that are well-seasoned.